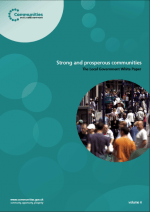 The aim of this White Paper is to give local people and local communities more influence and power to improve their lives. 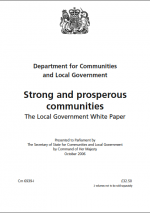 It is about creating strong, prosperous communities and delivering better public services through a rebalancing of the relationship between central government, local government and local people. 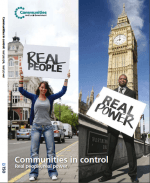 “Support for community groups to play a bigger role. This action plan is about achieving a step change now, in partnership with the LGA. It is about continuing on a journey together, building on the good work that is already happening locally. 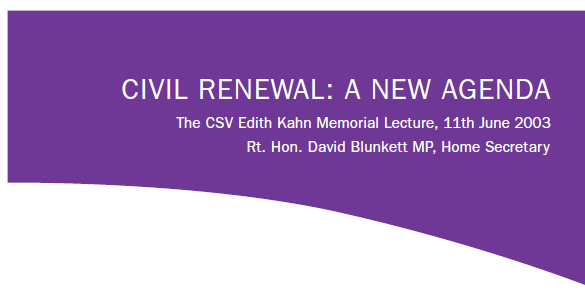 In summer 2008 I want to demonstrate how much progress we have made by reviewing this action plan and setting out a clear cross-government approach. Develop a ‘ Take Part’ campaign • Consult with partners on the development of a national campaign to demonstrate the opportunities people have to make a difference at the local level.